There has been a number of things booming in the video game community as of late. The continued increase in large AAA titles that contain loot boxes or a season pass of debatable quality (in some form or another) has driven many gamers to measurably reduce the number of games they purchase in a given year. The existence of the aforementioned downloadable content is reasonable enough: between the numerous toiling hours required to code, design and animate these visually impressive projects, and the astonishing amount of money that is poured into advertising and marketing for both digital media and in-store at retailers, the cost of producing a AAA-quality game has increased dramatically over the last several years with no signs of reduction in the near future. Publishers and developers need to find other avenues of getting that money back as revenue to balance the cost of their investment. A 10-hour campaign in a game such as Call of Duty can no longer suffice, and in order to receive a return on their investment, game development companies must ensure the residual flow of revenue, i.e., microtransactions and other forms of DLC. Be that as it may, not all gamers have visibility or the education to understand the business side of the gaming industry, and even if they did many still would simply not care. This is far from unreasonable, as spending $60, sans applicable sales tax, every time an interesting game releases and then adding the cost of likely subsequent, paid, downloadable content is not an easy cost to handle for everyone who isn’t funded by their family. So where is the proverbial “happy medium”? Trends indicate that many indie developers have been attaining greater success year-over-year. 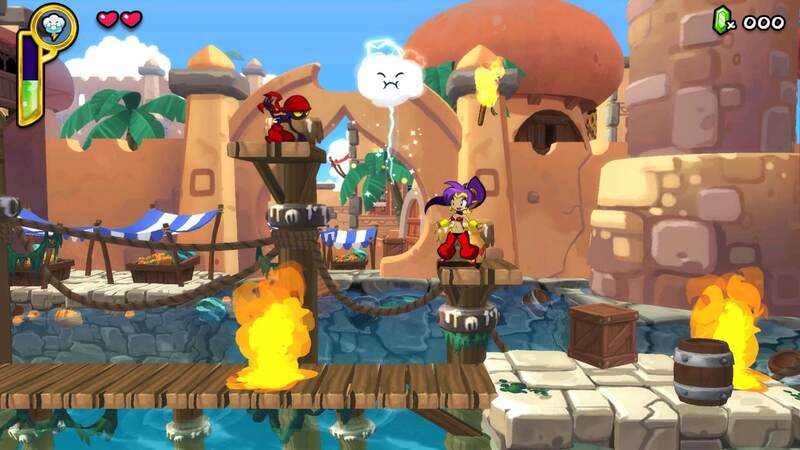 Games such as Sonic Mania, Shantae: Half-Genie Hero, and others have received praise both financially (relative to their cost of development) and critically, and rightfully so; these games exude a true passion for the medium in the hands that created them. That’s not to say that the development teams that make the usual blend of annual releases lack passion for their work, and video game fans can be rather fickle, but there is an intangible present in projects like Sonic Mania, Shantae, and Octopath Traveler (regardless of it being a Square-Enix title, and they’re far from an indie developer) that players simply gravitate towards and will go as far as to drive around to every retailer in their city in the hopes of obtaining a physical copy of the game in an era with a marked increase in digital sales. That love the players feel from these games is something that they translate as a love for them, the paying customer, and they show their appreciation back in kind. The above-mentioned games are far from unique; in fact, they are not so dissimilar to the bulk majority of games that released during the early and mid-1990’s. I would argue, then, that it is the fact that these developers knew exactly the games that were their inspiration, that they desired to model their games after, and then proceeded to do so faithfully. That leads us into another query: what’s with the love of these retro-styled titles? Retro games are an interesting topic; they are more and more being emulated (pun intended) by indie developers, and despite their aged look and feel, there is a charisma and intangible soul to them that players – not all but many – are drawn to. Given this, one could infer that actual retro games must also be in the midst of a resurgence. That notion would be correct, as many regions all over the country have experienced an increase in retro game interest, and YouTube has also seen a marked increase in channels that cover and review these vintage games. Many players are hunting for the old consoles of their childhood; is this disenfranchisement with the AAA titles that run the show today? Or is it that a latent nostalgia gene kicked in and they simply wish to relive days gone by? I err on the side of, “A little of column ‘A’ and a little of column ‘B.’”. In 2016, Nintendo surprised everyone, themselves included, with the release of their NES Classic console, a mini version of the original Nintendo Entertainment System with 30 of the console’s hottest games pre-installed and perfectly emulated in HD. The throwback was a runaway hit with gamers everywhere, and Nintendo found themselves on the receiving end of the frustration of many more when it became clear that the company had been ill-equipped to manufacture enough consoles to meet the shockingly high demand. In the following year, 2017, Nintendo released the SNES Classic Edition in similar form to the NES Classic, bundling over 20 pre-installed games from that era into a plug-n-play system that was even more of a hit than its predecessor. These pre-bundled systems had a ripple effect on the industry, as SEGA has now announced a new classic edition of their own Genesis console, but beyond that, gamers everywhere are hunting for games to add to their old Gamecube, Dreamcast, and PlayStation collections, among others (I myself have been rebuilding my Gamecube library several-fold from what it once was). What can we learn from this? Moreover, what can AAA developers such as EA, BioWare, Square-Enix, SEGA, and countless others take away from it? Well, I doubt that every gamer out there wants to solely be able to enjoy games that look like they were made in 1996, but what modern game developers should discover in this is the desire to find their “heart” again. So many modern game franchises started out incredibly, and the sequels that followed in short order found even greater success in many cases. However, as big publishers began to increasingly see dollar signs (understandable, as they are for-profit enterprises) first and putting out a quality product second, gamers took notice, and the dollar signs began to fade. And instead of redoubling their efforts in the quality department, they looked for other avenues for revenue, such as loot boxes. Once-great annual powerhouses became annual disappointments as creators’ products aligned less and less with gamers’ wants. Developers should be free to create whatever they please; however, if players, including and especially long-time fans of a given franchise, don’t like what is being presented then they’ll vote with their wallets. This, of course, isn’t to say that there aren’t big games out there that rely on the annual hype for their projects and cut corners where quality is concerned. 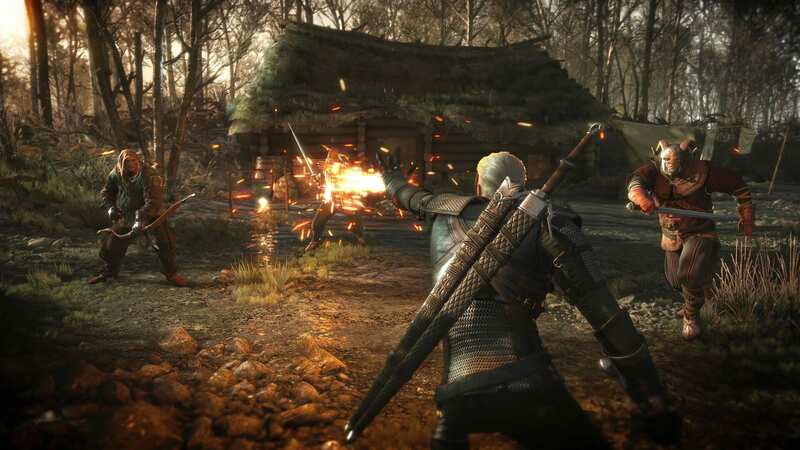 CD Projekt Red’s The Witcher III: The Wild Hunt is singular in its quality, and received no small amount of hype of its own. The Legend of Zelda: Breath of the Wild contributed in no small part to the overwhelming success of the Nintendo Switch console’s sales from day one and throughout all of 2017, and while Nintendo fanboy hype most certainly played a part in the game’s initial sales, it was the nigh-universal acclaim that it received from both players and critics alike that ultimately earned it the prestigious Game of the Year award – an accolade that the franchise has failed to capture since 1998’s Ocarina of Time for the Nintendo 64. Certainly, these titles are not without their flaws, and many annual titles have aspects of their gameplay or story that still possess a draw, but the reality lies firmly within the quality department. Many fans of BioWare’s Mass Effect franchise could have overlooked the lack of our favorite N7 agent had Andromeda not had a jambalaya of other issues that plagued it. Big-name devs ought to take a page or two out of some of these indie developers’ handbooks and find their heart again. We’re gamers; we love to spend our money on games, so you bring the quality, and we’ll bring our wallets.